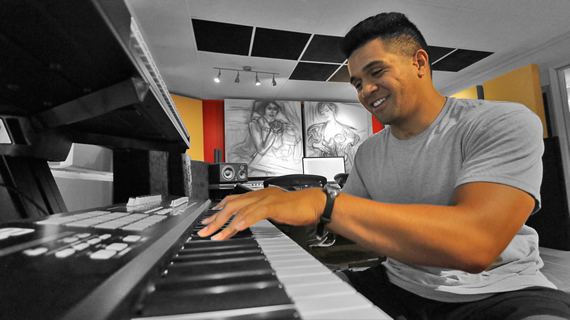 Ako is a music producer, songwriter and multi-instrumentalist known for his melodic, piano driven compositions. Ako plays piano regularly at church events. He studied at The OC Recording School with Asaf Fulks. Upon graduation in 2014, he has become an integral part of the OC Recording team producing, writing and contributing with his own original work. In 2017, Ako released his debut single and music video NEVER GIVING UP ON LOVE ft. Lauga Gauta and his follow up single My Love Letter!